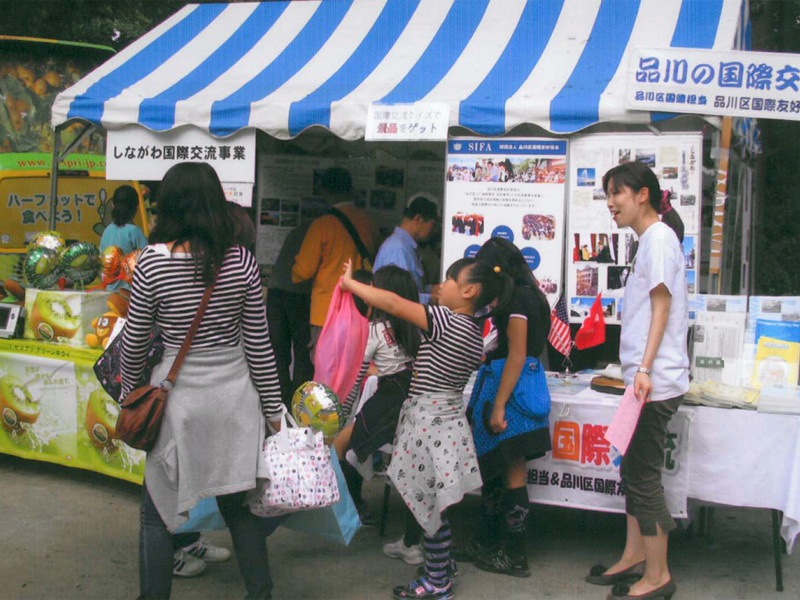 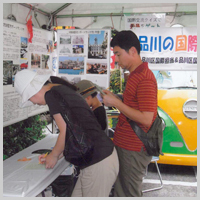 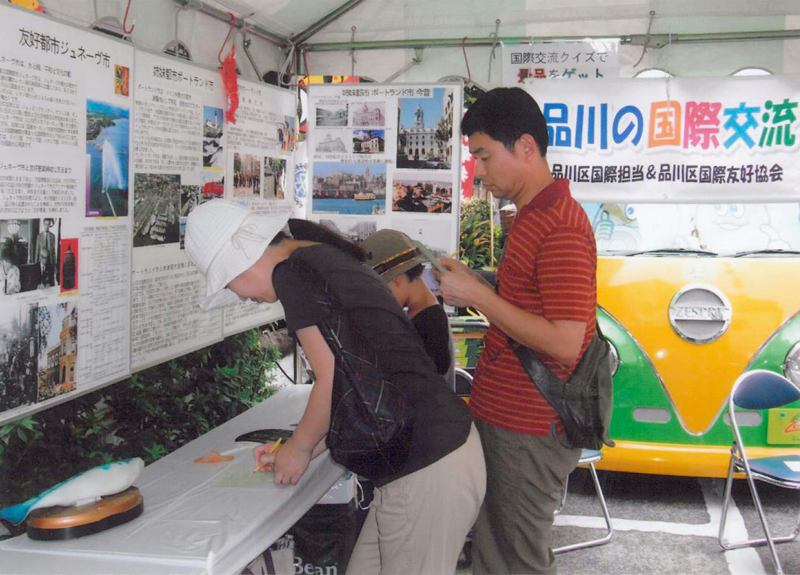 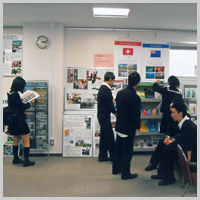 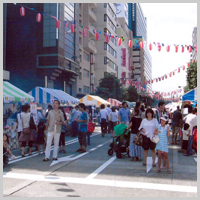 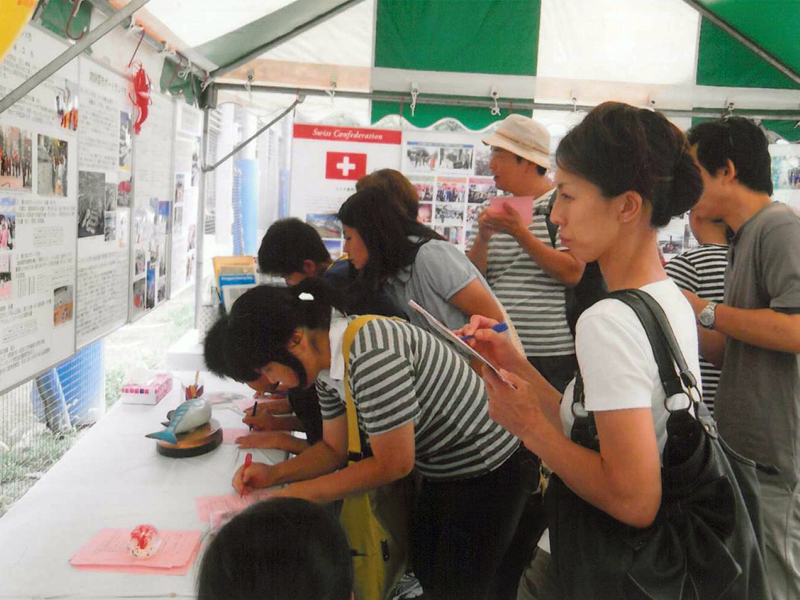 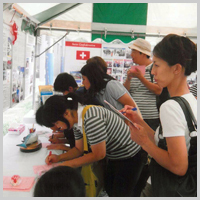 We at SIFA assist the Shinagawa City with an "International Exchange Fair" that displays photo panels featuring our international exchange activities. 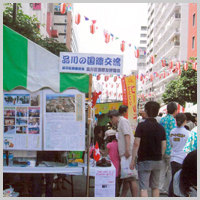 The fair is a part of a summer festival called "Oi Festa" that is held every year with help from the embassies of the countries of our sister and friendship cities, as well as embassies of other countries located in the city. 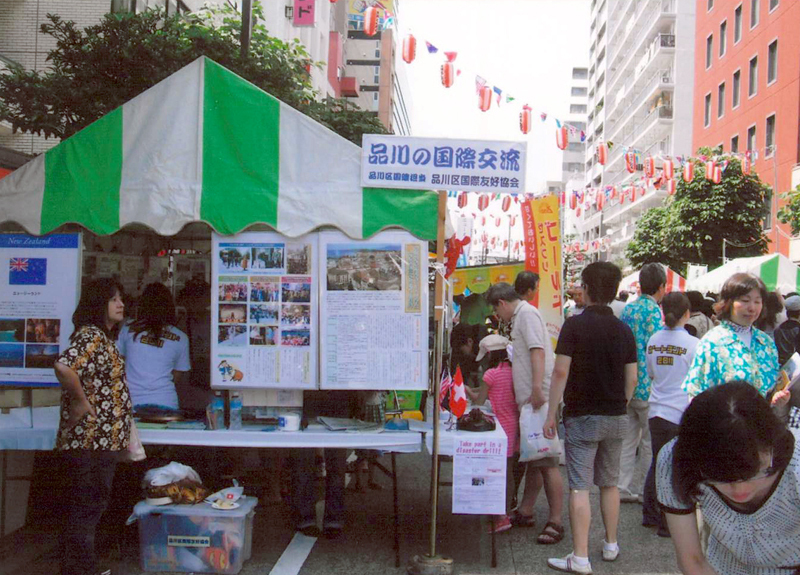 The fair provides visitors a unique international environment and cultural exchanges not only with foreign people living in the city, but also with those living outside the city. 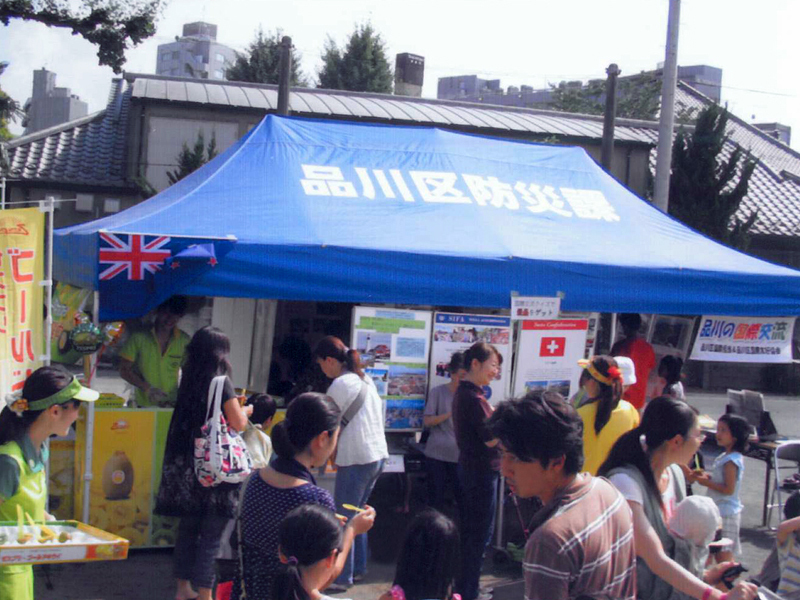 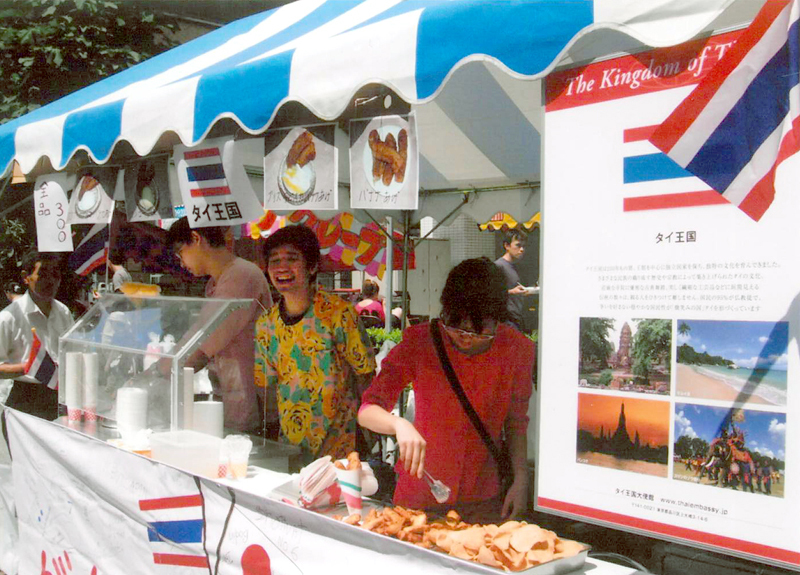 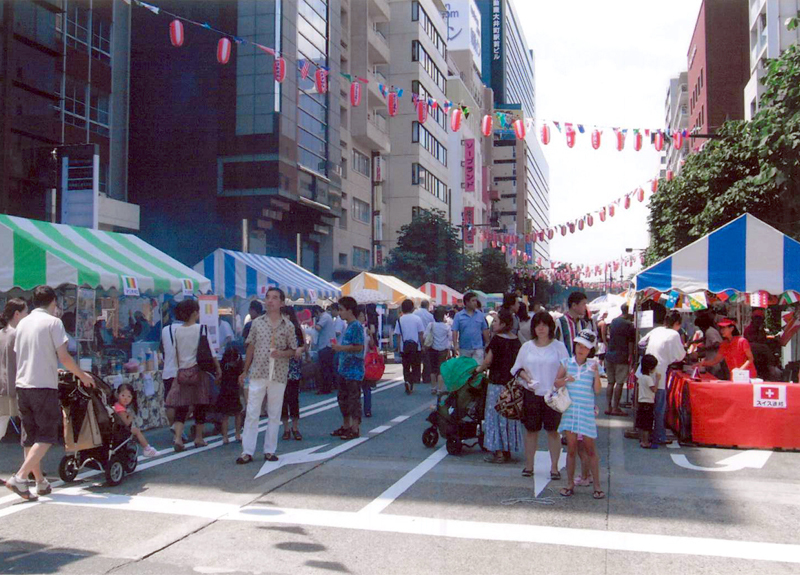 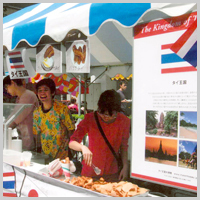 In order to promote internationalization in the city community, we participate in local festivals held in the city. 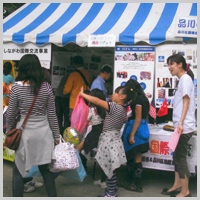 We exhibit photo panels that feature international exchange activities to encourage friendships between the residents and foreign people living in the city, as well as those living outside the city. 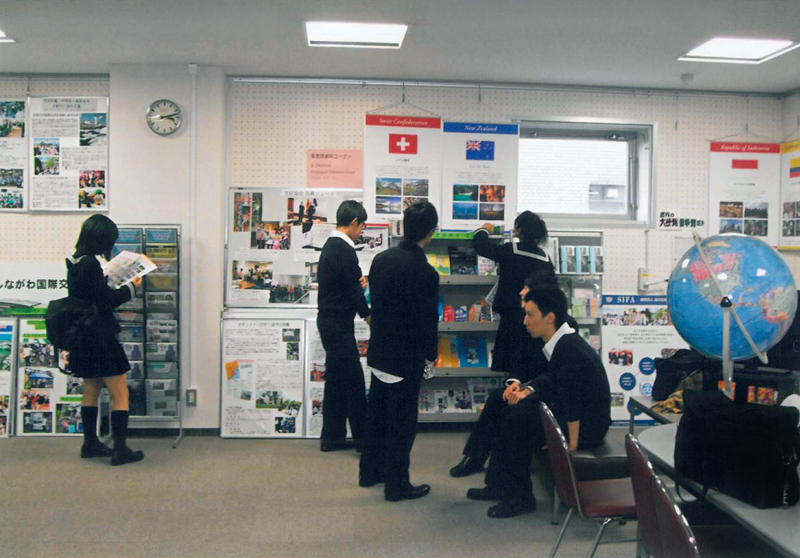 We established information centers that contain material in several languages, which identifies the locations of sister and friendship cities, along with embassies and consulates in the city. 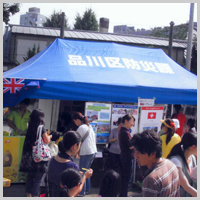 The residents of the city can utilize the information material to establish friendships with foreign people living in the city.